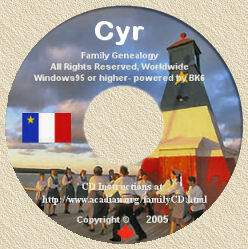 Home of Acadian-Cajun & French-Canadian Family Surnames, Genealogy CDS, Family Crests and Historical Information resources, since 1991. Linking the future to the past........... one name at a time! "I am an Acadian." "Huh?"